Kult, stilig, rent. Hva mer kan du ønske deg? Ligger i det fasjonable Hoxton / Shoreditch-området, er dette stilige London-leiligheten et perfekt sted å utforske London. Den har 2 flotte store og rene doble soverom, et moderne bad med badekar og dusj og en ypperlig moderne fullt utstyrt kjøkken og en utrolig privat utendørs balkong med utsikt direkte mot fredelige kanalen. Old Street tunnelbanestasjon ligger en kort spasertur unna. Rød dobbeltdekker busser til St Paul-katedralen, Covent Garden (shopping og teater), Waterloo (London Eye), Westminster (Houses of Parliament) og London Bridge (Tower of London og Tower Bridge) alle drar 200 kilometer fra inngangen til leiligheten bygningen hver 3-4 minutter. Hailing en London svart drosje utenfor bygningen er like enkelt. Hovedsoverommet og Guest Soverom begge har en virkelig flott og komfortabel dobbeltseng med en utmerket minne skum madrass og den fineste av friskt rent sengetøy som sikrer en god natts søvn. Alle rom i leiligheten har imponerende utsikt over kanalen. Hovedsoverommet har også den ekstra fleksibiliteten av å ha en oppblåsbar enkel madrass gjort opp for en ung voksen hvis nødvendig, for en liten ekstra kostnad. Badet har blitt designet med vakre ren kalkstein fliser på gulvet og rundt badekar / dusj området. Utenfor stuen er en flott skjermet og beskyttet utendørs balkong med behagelig og avslappende utemøbler med direkte utsikt over Regents Canal. Innenfor bygningskomplekset er det en Health & Fitness senter, som for en liten avgift tilbyr et fullt utstyrt klarte gym komplett med et komplett utvalg av skjønnhet / spa-behandlinger. Moderne rent og lyst bad med massasjedusj enhet. My mum and 8yr old daughter spent 10 days at the apartment during Christmas 2018. The bedding was fabulous, the mattress’ excellent and the apartment warm and very well appointed. We could not have been more satisfied! So glad you loved your stay in the apartment. it was a pleasure to have you stay, and now you know where we are...we hope to see you again! Clean, comfortable and perfectly located. Highly recommend! We loved staying here. Very clean, comfortable and convenient. Enjoyed people watching from the deck and appreciated the ease of hopping on the bus. Highly recommend! The flat was spotless and beautifully decorated. We felt right at home... everything we needed was there. Stocked kitchen supplies, blow dryer etc. The balcony was great for people watching along the canal with a glass of wine. The supermarket downstairs was so convenient as were the bus stops just steps away. The owner left a book with great tips for sightseeing and restaurants with takeout menus too ( although some were outdated)This is our new home away from home. Amazing time in London with the help of a very comfortable place to stay! The apartment is beautiful and Peter is the best!! It's in a quiet neighborhood but easy to get to anywhere in London. The property is well kept and we felt very safe and cozy. The place is immaculate, well decorated with a full kitchen and modern bathroom. The beds were comfy which was appreciated after a long day of running around. Peter was very communicative making it seamless with arrangements and access to the apartment. I would highly recommend his place! Thoroughly enjoyed our stay here. Great location on the canal with easy transit access. Very comfortable for a family of 5, flat has everything a family needs. We had an eleven night stay in this fantastic two bedroom apartment. 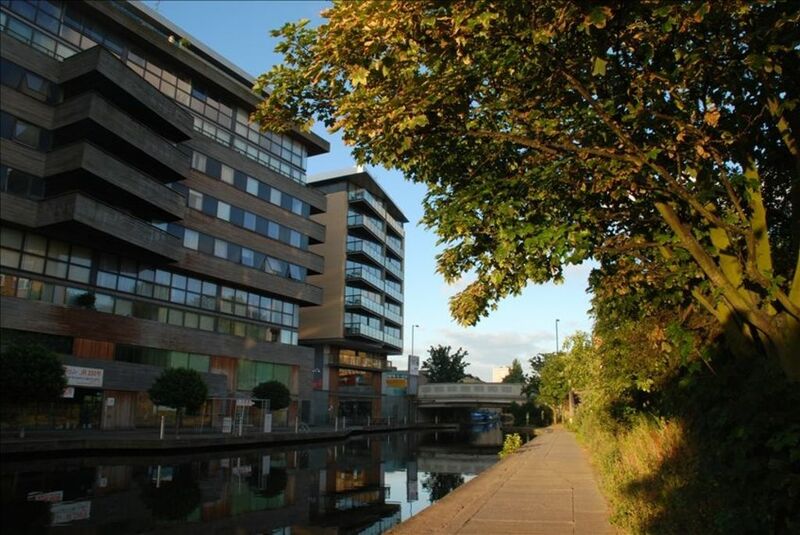 The location in Gainsborough Studios, with a balcony overlooking Regents Canal, was perfect for us. We certainly enjoyed spending time on the balcony watching people walk, ride and run along the towpath and watching the canal boats moving up and down the canal. Peter Winn was a fabulous host and nothing was too much trouble. A quick ride on the number 76 bus had us in prime tourist locations. Lovely pubs, cafes and restaurants close by with a co-op shop downstairs. Highly recommend staying here.